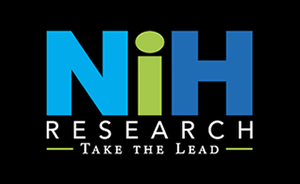 NIH Research & Consulting (NIHR) is proud to honor National Women’s Small Business Month. NIHR received our National Certification as a Women-Owned Business Entity in 2017; the same year NIHR celebrated our 25th year in business! NIHR owners, Cindy Kanstoroom and Robin Day, recognize this momentous month alongside 12.3 million women-owned businesses throughout the country. This is a time to celebrate the growth and accomplishments of female entrepreneurs and the vital role they play in our economy. We look forward to seeing all U.S. businesses continue to flourish. In our industry, outsourcing is a growing issue often at the expense of quality. At NIHR, we are proud to contribute to America’s GDP and hire educated U.S. consultants, men and women alike, with advanced healthcare and information technology backgrounds. As a leading provider of marketing and sales support to the healthcare and healthcare information systems industries, we enjoy a boutique industry. We’re very proud that since 1992, NIHR has paved the way and created career opportunities for new generations of both women and men. We are experts in sourcing top talent, and we successfully utilize our hand-picked team and their extensive experience in healthcare and technology to provide the highest quality of service for our clients.